For four years now the UnBox Festival has been a torchbearer for cross-disciplinary pollination of ideas. A combination of design, technology, craft, art, activism, systems thinking, city-planning and social change action, the festival has constantly challenged the presumptions of a way of life taken for granted. By bringing together makers, thinkers and doers from a (frankly) mind-boggling gamut of practices, UnBox has enabled participants and delegates like myself to re-configure the way in which we work and engage with one another. 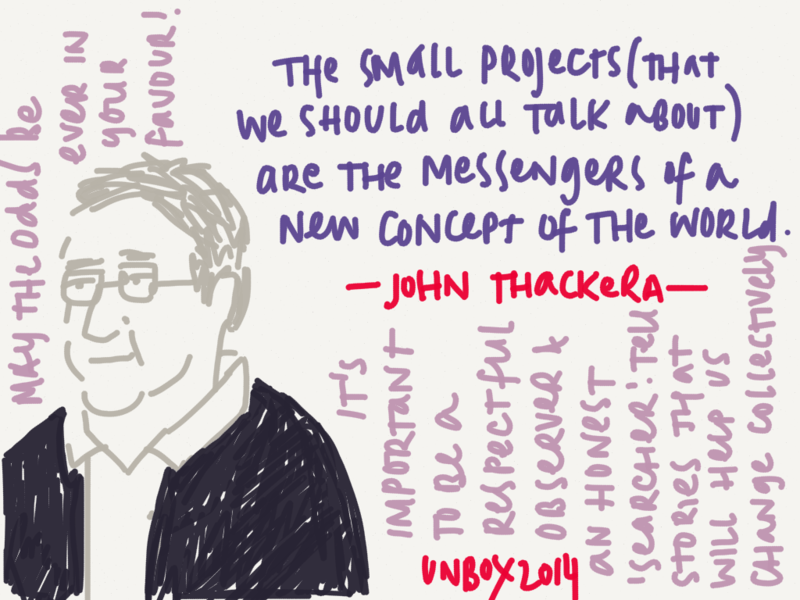 A long-time supporter of UnBox,design-thinker John Thackara offered an insight into the critical contribution of small, local, focussed projects that are slowly, but surely changing how society and humankind function. The next revolution, he argued, would be in significant, incremental changes, rather than large-scale upheavals. 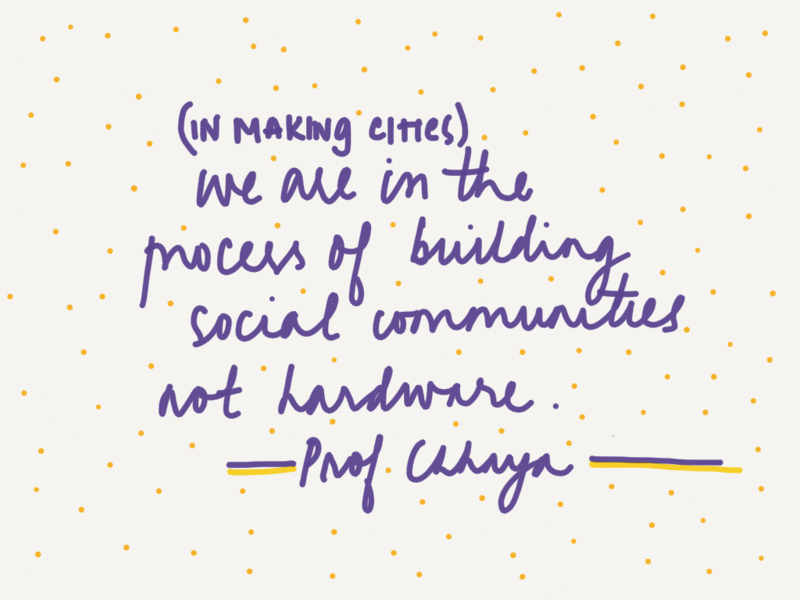 With the rapid explosion of urban centres in India, the sensitivity of individuals and systems to collective needs has been greatly diminshed. The result is that our cities have become more oriented towards vehicles than people. 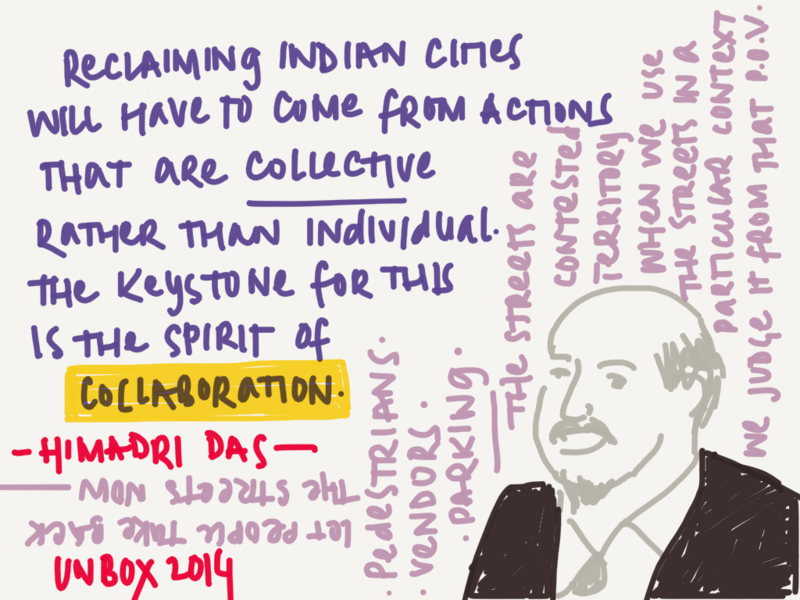 Speaking from his experience at EMBARQ, Himadri Das spoke of the need to re-think the future of our cities as co-habited, co-dependent spaces that cater to collective needs rather than elite, individualistic demands. 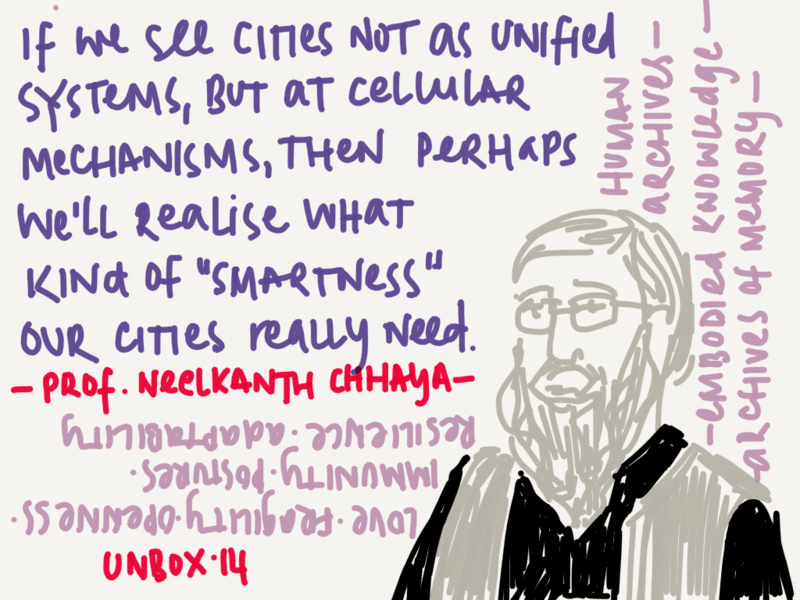 …this is an idea that was reinforced by the gentle but powerful observations made by Prof. Chhaya, former dean of the Centre for Environment and Planning in Ahmedabad. Rejecting the superficial “smartness” of technology-enabled environments, he calls for a re-consideration of human wisdom that responds to empathetic, nurturing, intuitive spaces, rather than artifically imposed rules and codes of conduct. Indeed, he left us thinking about how we can all – in each discipline – put communities at the heart of an agenda for the future. 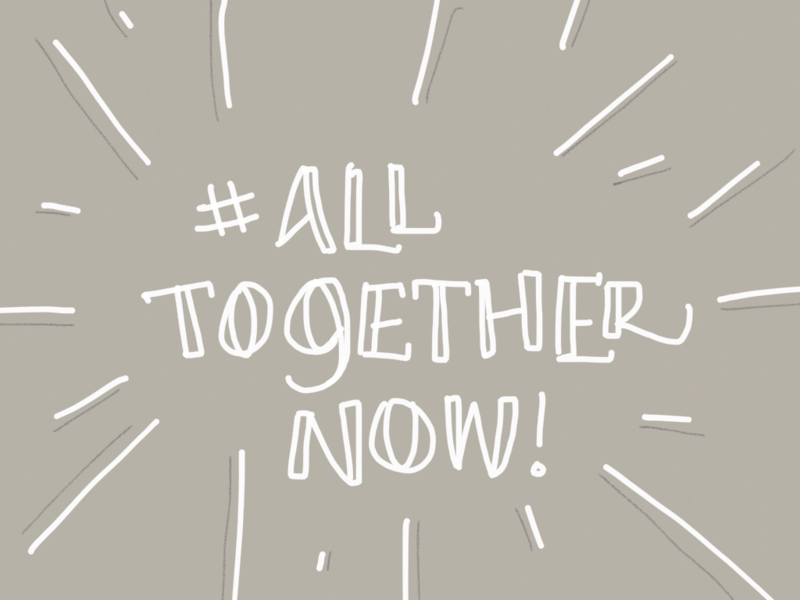 At the same time, it’s worth beginning with changing the way change-makers talk about their work. 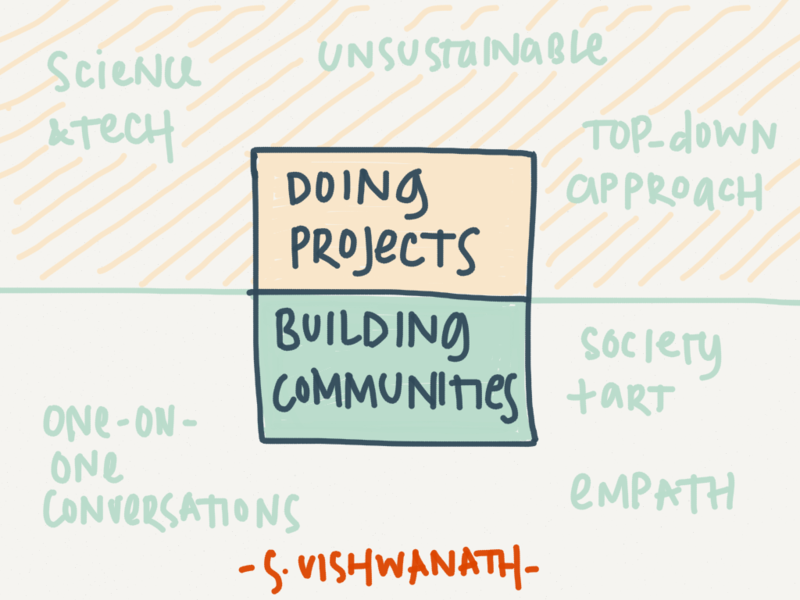 Are the simply “doing projects” in a short-term, reults-oriented, top-down kind of way. Or are they interested in really making a meaningful, lsting difference in human interactions and environmental impacts? A simple evaluation of the language we use, speaks volumes about the kind of frameworks we operate in. A prime example of the necessity to engage individuals AND communities, is the sanitation crisis that currently looms over India. 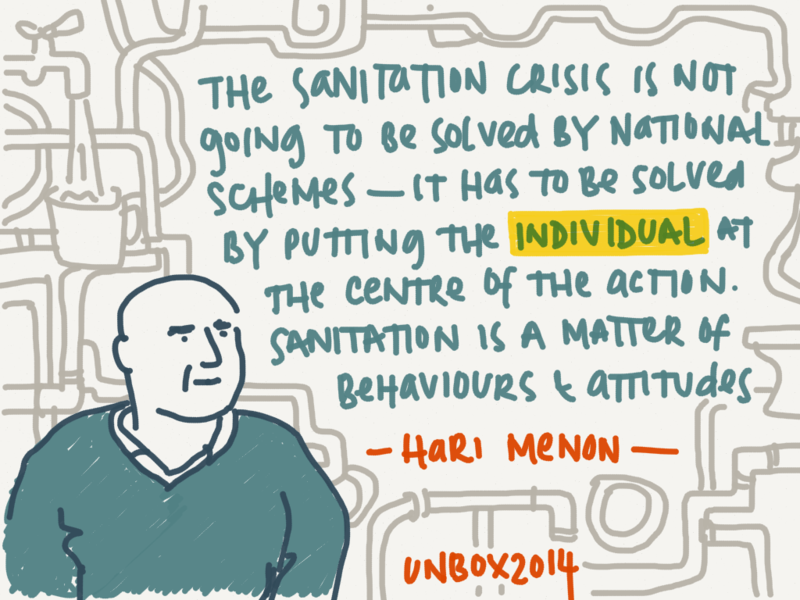 Addressing it, says Hari Menon, is going to require every single person to change their attitude to cleanliness and hygiene. While government schemes are very welcome, the problem is a social one, not an administrative one. 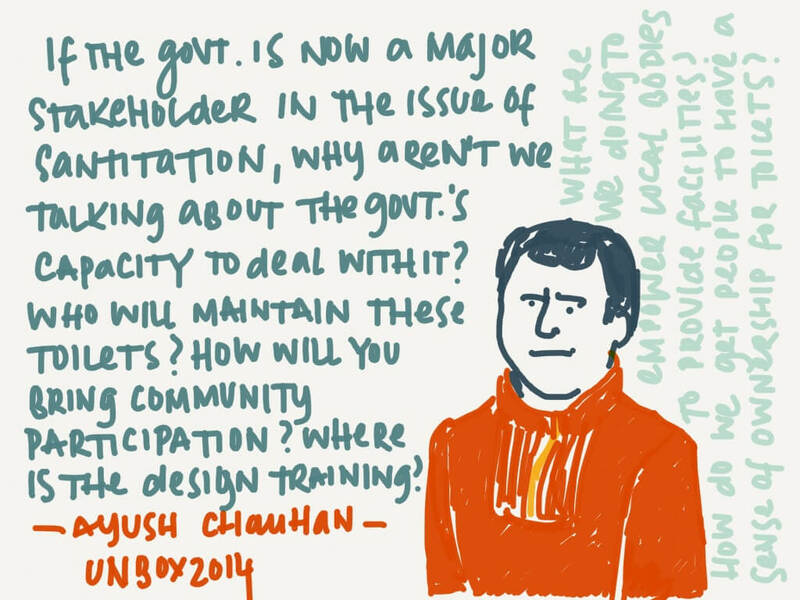 A wealth of complex issues involved in dealing with sanitation – from the design and maintenance of toilets to changing daily habits and mindsets – Ayush Chauhan of Quicksand speaks from experience that the challenge is so big, that only a huge machinery can solve it. At the same time, the machine has to be empower local, sustainable solutions at a grassroots level. 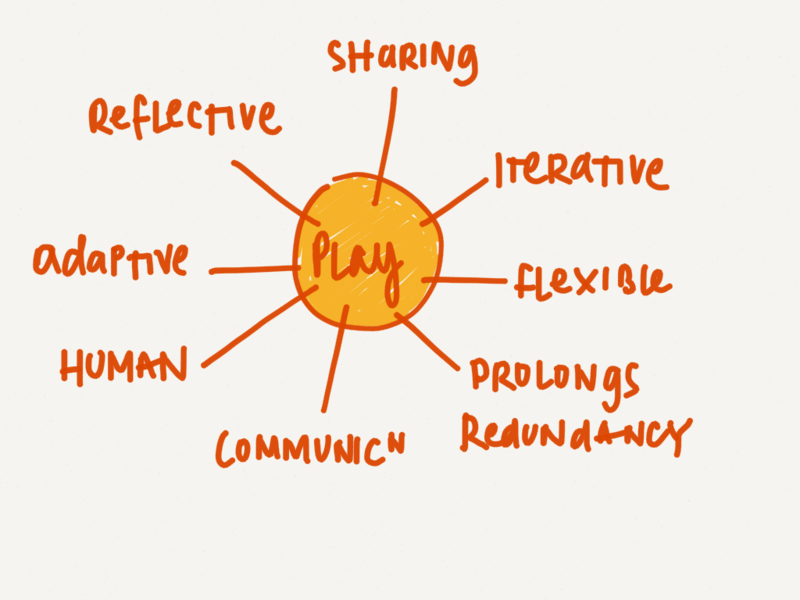 With respect to technology, a key word that emerged was the idea of “play” – to create human-centered solutions that make life richer, and not just easier. A number of workshops and hackathons at the festival mashed together analog and digital approaches. The resulting collaborations, experiments and products both answered some of the festival’s questions and raised new ones at the same time. 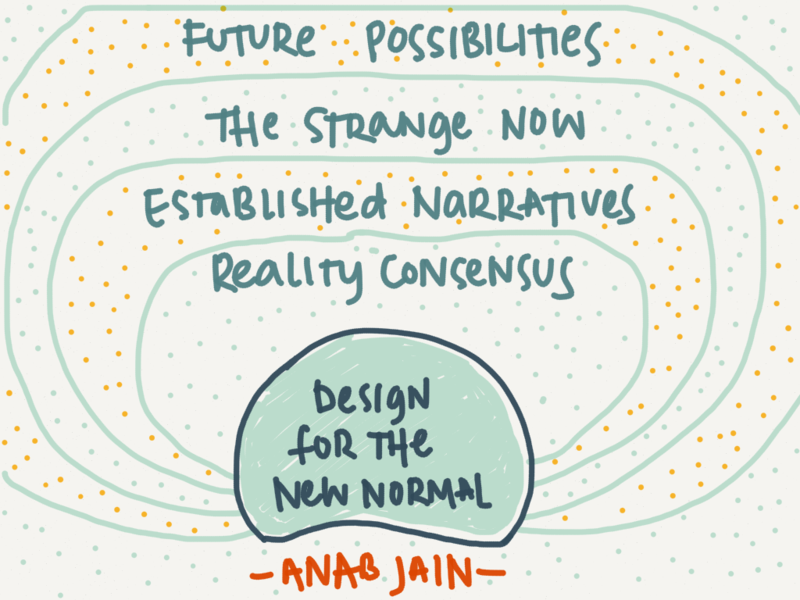 In this space of collaboration and technology-driven narratives, Superflux‘s Anab Jain raised pertinent – if terrifying – questions about the role of omni-present, always on devices in a world becoming evermore prone to surveillance and loss of privacy. “What is the normal?” she asked even as she presented the strange futuristic worlds that exist around us today. 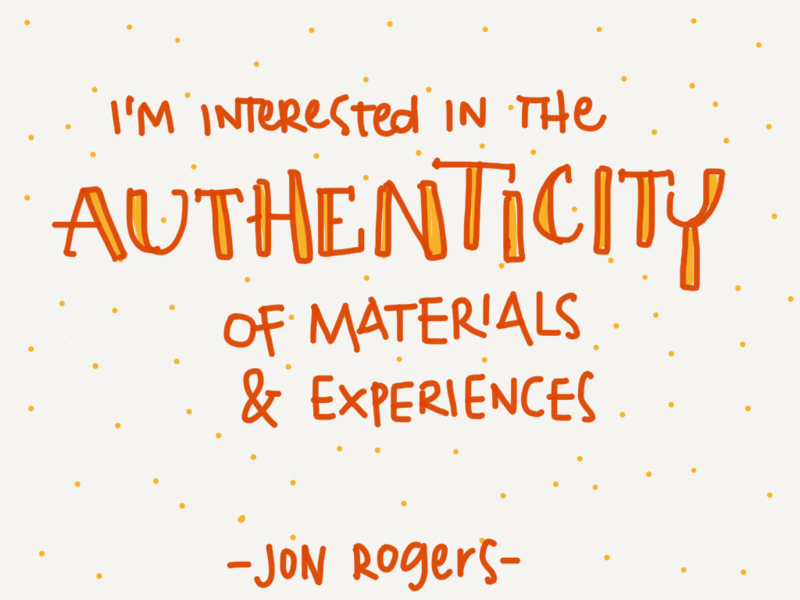 Between the real-world-future-tech scenarios, Dundee University’s Jon Rogers brought me back to a key theme of the fesitval: authenticity. A key manifestation of the essential human experience, authenticity lies at the heart of every piece of human centered design. Every problem has its own solution though, and no one size fits all. In a paradoxical time of unprecented diversity and globalizing uniformity, the Big Idea isn’t relevant any more. 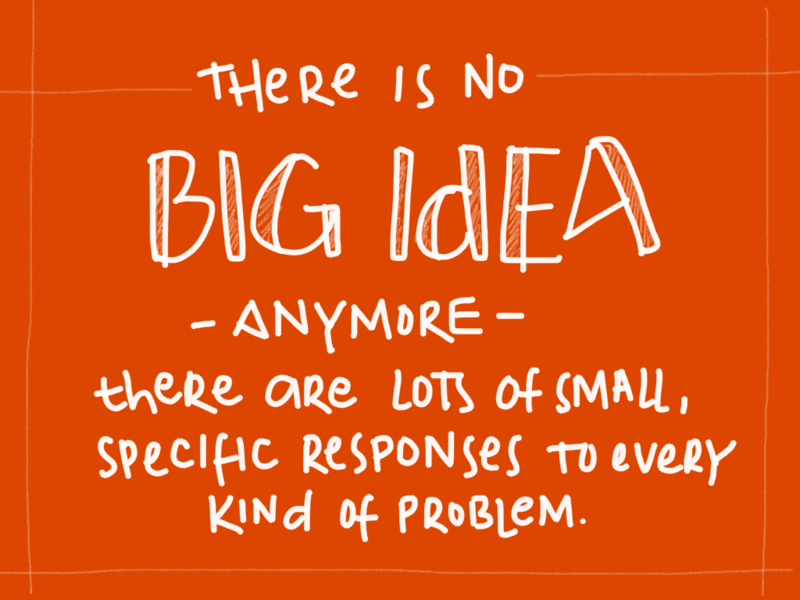 It’s the small specific ideas that will change the world. Perhaps, UnBox is one of them. These sketches were created live at the UnBox Festival in December, 2014 using the Paper app on an iPad. All sketches, text and material are © Ruchita Madhok, 2014 except where indicated otherwise. Please do not distribute in any form or medium without written permission. Very nice and interesting post. Liked reading it. Got to know something new. Thank u for the share. Keep posting with lots more.